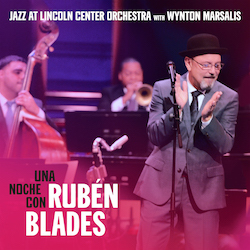 The cover art for Una Noche Con Rubén Blades, a live recording featuring the Jazz at Lincoln Center Orchestra backing up vocalist Rubén Blades, perfectly encapsulates the music’s collaborative core. Off in the background of the photo is trumpeter Wynton Marsalis, the orchestra’s artistic director and the foundational support for projects like the three-night run of shows in 2014 that celebrated Latin jazz and Blades, one of the genre’s stars. But it’s the two men standing in front of Marsalis who gave Una Noche its sound and spirit. Naturally, Blades dominates the picture, just as he commands the performance of songs that made him a star in the Latin music world on this album. Over to the left is Carlos Henriquez, the Bronx-born bassist who has been playing with the orchestra since 1998. He’s almost squeezed out of the picture, but without him, those shows and this album might not have come to fruition. The music then became a blend of styles and ideals. Augmented by percussionists Bobby Allende, Marc Quiñones and Carlos Padron, JLCO smoothly flows into the warm waters of Latin sounds, playing with undeniable brio and providing the perfect foil for Blades. The 70-year-old artist and actor didn’t just find his way through fresh arrangements of songs that, in some cases, have been part of his live repertoire for four decades, but also gamely put his own spin on Gershwin and Cole Porter standards. Not that these songs were completely foreign to Blades. As a youngster growing up in Panama, his family was one of the few with a record player in their home, and his father would bring home LPs by Frank Sinatra and Tony Bennett. Blades absorbed those albums and in the process taught himself English. 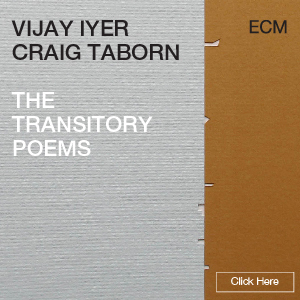 He also was a dedicated radio listener, latching onto the freeform spirit of the stations in his home country and sopping up sounds of all stripes along the way. All of that experience and knowledge made Blades a perfect fit for the Lincoln Center shows, and made him a willing, excited participant. But the root of it all lies, he said, in a desire to pay heed to, and play some small role in, the moments in history when Latin music and jazz intersect. Also staying true to Blades’ history, both he and Henriquez see a political element to celebrating Latin music on Una Noche, given the current political climate in the United States.